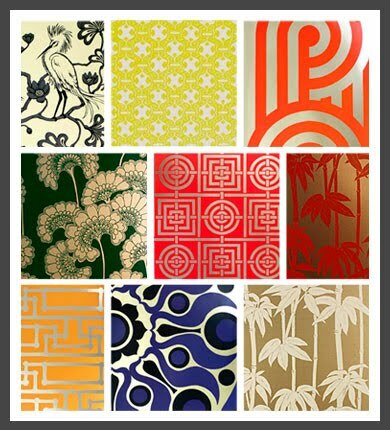 As a graphic/surface designer I can't help but be inspired by and be a great admirer of Florence Broadhurst. After a very long day with my head in web code yesterday, her patterns are visually soothing and even relaxing; yes, even with such elaborative and decorative motifs. This is a visual + sparkle of some of my favorite designs from her vast portfolio.